For Malcolm Aga, athletics, adventure, and traveling were part of his lifestyle since he was a child. 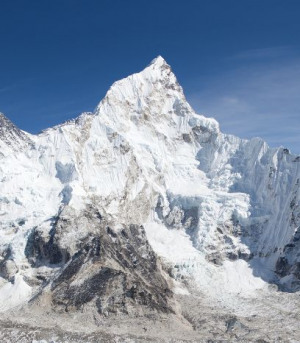 At age 59, hip problems prevented him from crossing the Mount Everest Base Camp Trek off his bucket list. He then decided he wasn’t going to let anything stand in his way. Hikers land at Lukla airport in Nepal, a harrowing journey in its own right. Often dubbed ‘the world’s most dangerous airport’ because high winds, turbulence, and rough terrain can make for an exceptionally difficult landing. Upon landing, trekkers have time for little more than a quick stop at one of the local tea houses before they set out and begin hiking almost immediately. Over the next 10-12 days, they’ll hike a total of 80-plus miles, starting at an elevation of 8,500 feet and topping out at nearly 18,000 feet. At those altitudes, Malcolm says, the air is so thin you have to take four breaths for every step you take. During the trek, hikers face hazards like narrow paths, stinging wind, rain, low visibility, caravans of yaks, and rickety bridges reminiscent of those found in Hollywood adventure films. All the while, dehydration, sparse oxygen, and the ever-present threat of altitude sickness mean trekkers are in a constant state of peril. Malcolm’s hip issues came about gradually, after years of playing sports, golfing and hiking. An avid hockey player for 30 years he faced brutal hits in the rink, and his passion for golf took an enormous toll on his body. He developed a shooting pain in his leg, which he thought was related to his sciatic nerve. He decided to speak to the expert physicians at Resurgens Orthopaedics, and the news wasn’t good. “They took some x-rays and determined… it is the hip, even though [I didn’t] have pain in the hip, it manifests itself further down the leg,” he says. Malcolm’s first hip surgery was scheduled for January 2017. Resurgens’ own Dr. Mark W. Hanna skillfully performed a less invasive hip replacement removing the damaged hip joint and inserting a new one. The recovery went well for Malcolm; he was back on the ice playing hockey within 4 months and decided to have his other hip replaced in September of the same year. Once again, he threw himself into his physical therapy, working hard not only to recover from his surgery, but now to get into the kind of shape it would take to tackle the EBC trek. While Malcolm admits he had concerns about the trip, he was finally ready to conquer the EBC trek just 7 months after his second hip replacement surgery. Malcolm believes it was his recovery process that gave him the inner strength he needed to ultimately complete his journey. While his hike was extremely challenging, Malcolm says his new hips never bothered him the entire time. Along with his own determination he also credits Dr. Hanna and the staff at Resurgens Orthopaedics for giving him the tools he needed to reach his goal. Dr. Hanna and the rest of the staff at Resurgens Orthopaedics are proud to have helped him achieve another one of his goals. Congratulations on your success, Malcolm, and we hope your new hips will carry you to many more of the world’s most remote destinations. Reach For More!